Can ‘micro-investing’ small deliver big results? Acorns in the US was one of the trail-blazers of micro-investing--which refers to the process of making regular, relatively small investments, usually into automated, digital products. An Australian off-shoot of its former US parent, Raiz Invest--formerly Acorns Australia--is a micro-investing app that invests spare change into a portfolio of exchange-traded funds (ETFs). In February, Acorns Australia joined forces with Instreet Investment Limited, an Australian asset manager with $500 million under management. “The change reflects our new autonomy and our ability to move quickly to develop and implement product improvements that are responsive to our customers in the Australian market,” says Raiz Invest managing director, George Lucas. Since opening their doors to the Australian market in February 2016, Acorns Australia, now Raiz Invest, has amassed more than 460,000 users and more than $150m in funds under management. Their pitch proved a hit with Millennials, who responded to an app that branded itself as an inexpensive, simple and low-risk way to get exposure to the sharemarket and grow savings. The app can be set up to take recurring investments or use spare change rounded up from daily purchases. For example, if you spend $3.50 on your morning coffee, Raiz will invest 50 cents into your account. Each of the six portfolios, ranging from conservative to aggressive, comprises a mix of seven ETFs quoted on the Australian Securities Exchange. Raiz Invest claims the average Acorns user has made 10.5 per cent a year (end of July 2017) on their investment after fees. The company charges a monthly fee of $1.25 for accounts under $5000. Mobile phone use has allowed micro-investing apps to flourish. 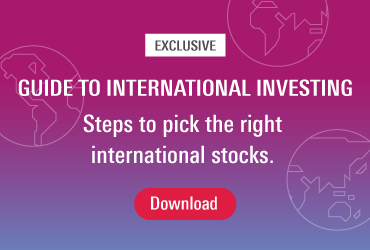 Raiz Invest joins a host of similar platforms including Stockspot, RateSetter, Caroot, BrickX, and Stake. Each claims to have amassed users in the thousands, if not hundreds of thousands. BrickX, a property investment platform that allows investors to acquire fractional interests in residential property for less than $100, recently celebrated 10,000 users across 15 properties in Sydney, Melbourne and Adelaide. RateSetter, a peer-to-peer lending app that matches investors (lenders) with as little as $10 with creditworthy borrowers, claims to have passed $250m in loans funded. Even banks are joining in, with ING Australia launching a digital savings “roundup” tool in their Orange Everyday account. However, the buzz around micro-investing is not without its critics. Some investment professionals accuse such platforms of leaving investors short. Chief executive of Share Wealth Systems and author of Blueprint to Wealth Gary Stone says Acorns Australia’s fee structure was very high compared to other investment options. He argues it would actually leave some users worse off by charging more money in fees than they would make in returns. “The Acorns app is getting huge accolades from all circles in Australia. But it infuriates me that the people plugging this tech haven't got out their calculators and done the maths,” Stone wrote in a recent article titled ‘Millennial investors are getting ripped off by Acorns’. Acorn’s chief executive Lucas rejects this criticism, arguing that the app’s chief function is to educate young people on saving money. “It’s not really about the return; it’s about learning to save,” he said in a recent interview with news.com.au. “This is a new paradigm, so if you want the best fund manager and are thinking about trying to get the best returns in the world then Acorns isn’t the best place to put your money,” Lucas said. Beyond investing, Raiz Invest has added several new features including “My Finances”, which allows users to track spending habits, and the Emerald Portfolio, which provides a sustainable investment option. Earlier this year, Acorns Australia announced its intention to launch a superannuation product, fully integrated into the app, built with the aim of simplifying super.